If you’re a woodturner then you already know the importance of a good wood lathe. 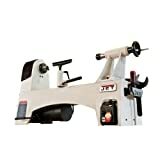 A quality wood lathe will help you do the job much quickly and effortlessly. Buying the best wood lathe is indeed a daunting task but if you find the best one that suits your requirements and style then it would be definitely worth the hassle. In this article, you are going to read WEN 3420 Lathe Review. WEN is a budget-friendly brand and it makes superbly powered machines at an affordable price. The 3420 benchtop lathe has countless positive reviews and a few negatives as no product is perfect for everyone. We will have an in-depth discussion of its features along with the merits and demerits that will help you make the ultimate decision. Let’s have a quick look at the WEN 3420 Lathe review. The entire body is made with solid cast iron. The distance across the lathe is about 2 feet with a height of around a foot. The working surface is decent enough to fit any benchtop workstation. It has a dimension of 26 x 10 x 12 inches and weighs around 44.1 pounds. There is an 8-inch work area across the face of the machine and the movable tailstock allows a wood up to 12-inch of length to be used. 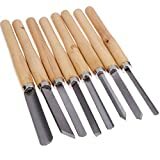 The compact size makes it a suitable choice for beginners or the professionals when they are working on small projects. As you know by the name, the WEN 8-Inch by 12-Inch benchtop lathe has a variable speed. It can go from 750 to a whopping 3200 revolution per minute. One of the great features of this lathe is that it doesn’t run at a full speed right after you start it. Instead, it increases gradually to the desired speed. This feature acts as a good safety measure also helps you decide which would be the perfect speed for your project. There is a knob attached at the side so you can change the speed just with a simple turn on the knob. The WEN 3420 has a 1/3 horsepower motor with a motor size of 2 Amp. The 2 Amp motor ensure the gradual start of the machine to avoid any mishaps or motor damage. The WEN 3420 features an MT1 spindle and tailstock that help to tightly grip your projects. 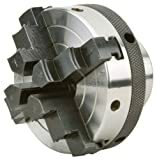 The tailstock has a turnable knob which allows you to put the tailstock mandrel out about two inches. There is also a punch-out tool included that will help you pop the mandrels out if they get jammed in there. The MT size is perfect enough to carve out small projects such as bowls or pens. This bad boy also comes with a handful of accessories to make your journey as a wood turner smoother and safer. 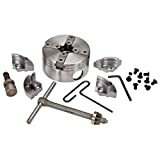 It comes with a knockout rod, two tool rests, a faceplate, a tailstock cup center, a headstock spur center, a flat wrench, and a few other accessories. The motor of the machine is a very crucial feature as it decides how fast you can cut the wood. If you try cutting a heavy object with a small motor, it will not work. Rather, the object might get broken or damaged in the process. The power of the motor is also vital to your project’s overall looks and finish. The power usually ranges from 1/8 to 2 horsepower. However, most common lathes usually have 1/2 or 1 HP motors. The size depends on the projects you’re going to work on. 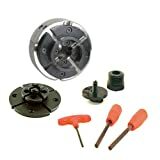 If you’re a beginner who’s mostly into small DIY projects then a mini lathe would be more than enough for you. However, if you’re more serious about your work and want to pursue bigger projects then you definitely need a bigger and advanced lathe. Click here to see the latest price on Amazon and read user reviews. Lathes have two types of speed: fixed and variable. The speed generally ranges from 500 to 3500 revolution per minute. Again, the speed depends quite a lot on the project you’re working on. For example, a tabletop requires a decent amount of speed whereas for bowl lathe you don’t require as much. A good lathe has sturdily built so that it can stay stable while the work is going on. It should be able to stay in place and avoid any movement so that accidents don’t happen. Question: Does the WEN 3420 come with reverse function? Answer: No, it comes with only forward function. Question: What is the power of the motor? Answer: It has a 1/3 HP motor. Question: Is there any mandrel included with it? Answer: Yes, the 3420 comes with M1 mandrel. Question: Is this suitable for making small cups or bowls? Answer: Yes, this tool is perfect for making small bowls and cups. You can do any small DIY projects with the WEN 3420. If you’re a beginner who has just started his journey as a wood crafter then it must be quite intimidating for you to find the perfect lathe. There are several factors to consider that will help you polish your skills as well as help you do the project better. Lathes are no modern tools. The earliest lathe date back Ancient Egypt era. The importance of lathe in crafting is inevitable. If you’re a novice who wants to polish his skills before moving onto an advanced machine then this would be a perfect match for you. 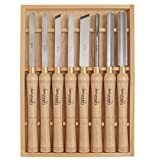 The WEN 3420 is a compact yet a sturdy tool that is ready to meet all the requirements of a beginner wood turner. Go through the features to get a detailed review on the machine, also weigh out the pros and cons to figure out if this is the one for you.